Kaitlin Keller is a graduate of the Wilkes University creative writing program. She finished the program in summer 2013 and, while she’s continued to work on her writing, this Q&A shares some of the other ‘life’ moments that hold her focus. KK: A struggle to find a job. KK: I learned how to write a book review and how to write for a variety of audiences. KK: It’s enriched my knowledge as a writer. KK: Try something you have never tried before or never thought you would be interested in. Branch out. It’s worth it! Trust your voice. KK: Nine-month-pregnant woman awaiting the birth of her first child. KK: The research! I loved reading the dozens of books for the M.F.A. paper and learning so much. I also loved working with Phil Brady [from Etruscan Press] and Lori A. May [from Poets’ Quarterly]. KK: For your own personal satisfaction, yes. For career advancement? No. There’s no money in it. KK: I tried to take myself out of my comfort zone as much as possible. I pushed myself to do things I wouldn’t normally seek or want to do. KK: The M.F.A., like writing itself, is a wonderful experience for those looking to enrich their lives and intellect…but not their wallets. 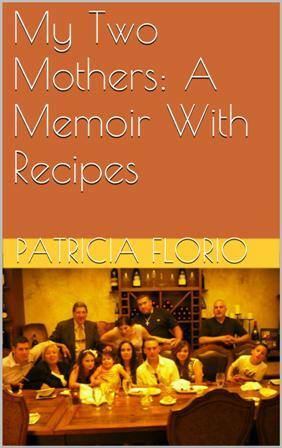 Patricia Florio’s book My Two Mothers: A Memoir with Recipes was released this November. A recent graduate from the Wilkes University creative writing program, Florio reveals how her experience at Wilkes helped shape her into the writer she has become. From Brooklyn to Jersey, Florio is doing great things in the creative writing community. Heather Lowery: Your book, My Two Mothers: A Memoir with Recipes, was just recently released this November. How does it feel to have your work out there in the open? 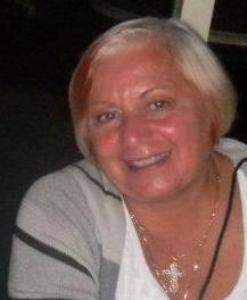 Patricia Florio: My Two Mothers: A Memoir With Recipes is a spinoff of my original MA thesis at Wilkes. The idea for the book was inspired in my 510 nonfiction class with John Bowers. I guess it was the way I shared the scenario with the class, “My mother gave me to her sister after I was born.” That sentence triggered a whole lot of conversation between friends and cohorts from other classes that I shared the idea with, and the idea constantly churned inside my head in stages of how I would sit in front of the computer and write this all down trying to make sense of it. HL: With memoir, the potential of revealing something about yourself that a small amount of people, and sometimes no one else, knows about you can be paralyzing. How did you overcome this fear? PF: It felt a bit odd writing about my family, to actually expose one’s self to whatever type of criticism from peers. For one thing, there was a part in the book that a kidnapping took place, and I wasn’t sure I wanted to write about that fact. I backed away from writing the book for several weeks, trying to come up with another idea for my thesis, until I could figure out how to handle this much talk about family situations. When it was clearer in my mind, and without using names, or I should say giving this particular family member, the kidnapper, a different title, Uncle Sly Fox, I was able to live with the fact that in memoir the facts have to be true, the names didn’t have to be. So I continued moving forward writing. But for a while there, I thought I was going to chuck out a year’s worth of writing. Then I remembered why I was writing this book: I wanted to acknowledge both of these women, pay them a tribute for raising me the way they had with all the difficulties like “too many cooks in the kitchen spoils the …” Yes, I was doted on by Aunt Jennie. I also knew I was loved by her. It made me feel privileged, even to this day, to have two mothers at different parts of my day, every day of my life. HL: Where did you get the idea for your title? PF: The title is from the second chapter and a sentence in the book, “When I came into the world, I came in having two mothers.” My mother’s oldest sister Jennie, whom I called Nanny, couldn’t have children of her own, and my mother already had two older children, my sister and brother (my sister 15, my brother 10). We all lived in the same three-family house, in different apartments. My mother handed me over to her sister Jennie, “on loan, that is, to care for me.” For the first fourteen years of my life I had two mothers. 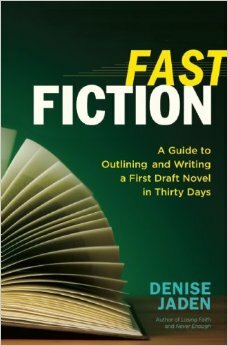 HL: What does your writing process look like? PF: I grab time at the computer every day, perhaps not at the same hour of the day, but shortly after I awake I open up the computer and write something. It could be a continuation of what I left off the day before, or it can be an idea I have for entering a short story contest, or it could be a travel piece. I write for www.stripedpot.com and I like to travel; living on the Jersey Shore gives me access for picture-taking, trying out new restaurants along the shore, and writing about those places for my articles. I read a lot. Sometimes I can have one audio book going in the car. Right now it’s Dr. Sleep by Stephen King; another book by J. Michael Lennon, A Double Life, Norman Mailer’s biography; and even something different to read before bed, like Dr. Wayne Dyer, Wishes Fulfilled. And I take notes, lots of notes, when I’m listening or reading books. It’s an occupational hazard from being a court reporter for seventeen years. I write everything down. It gives me fodder, new words, a bit of wisdom from authors who are up there in the industry. HL: Is there are particular mindset, or a frame of mind, you need to be in to write? PF: I have to have the house to myself. So when my husband is off to work and the house is quiet, I love that time most of all to write. It’s not that I’m glued to the screen, because I do find myself going down to the laundry room in the middle of a chapter to put in a load of wash. It’s just the way my brain works. There’s no daytime television for me. I can’t do it. I take after my birth mother on that score. She never watched daytime television until she was 90, and I don’t either. It gives me the ability to get into what I’m writing without distraction. There are literally days that I forget to go down and eat breakfast or lunch. Oh, I make up for it later on in the day, but I’m so into what I’m writing. I’m there with these people in my book that I don’t want to leave the feelings, the joy, the occasional tears, so I stay in the moment and let it happen. HL: What was it like growing up in Brooklyn? How has that affected your writing? PF: A lot of who I was as a child growing up in Brooklyn comes out in this book. The ethnicity of growing up in an Italian ghetto absolutely has affected my writing. At some point, I’d love Brooklyn to be the main character of a book I write, and maybe it is a bit in My Two Mothers: A Memoir With Recipes. The food is definitely Italian-Brooklyn, the smell of meatballs frying on a Sunday morning, not only from my mother’s window, but from the entire neighborhood of Italian women’s windows. And yet, I was tremendously influenced by my Irish neighbors, nuns, priests, my sister’s husband’s family who are Irish and very much a part of my life. Brooklyn is neighborhood living. You’re outside in fresh air amongst people, sitting on the stoop in spring, summer and fall. You’re not in a backyard. The kids played softball, baseball in the school yard across the street from our house, stickball in the street. You talked to people, interacted, shared stories. I think it was a freer time. You knew who your neighbors were. The peddler who sold groceries, his wife comes in as a named person in my book when I was lost. She knew me even though I was out of my neighborhood at a faraway movie theater. She came to my rescue. It was a different world in Brooklyn. I was also influenced by osmosis by all of the other well-known writers who came from Brooklyn. I think about working as a court reporter in a courthouse on Clinton Street in Brooklyn Heights, surrounded by the energy of Norman Mailer, Tom Wolfe, Burroughs, Walt Whitman, and so many others. I’ll always have Brooklyn! HL: I saw that you studied creative nonfiction at Wilkes University as part of the MA. How has that experience influenced you? PF: Wilkes was a very important step for me. I came back to school late in life. My father never believed in college education for women. Obviously, he was from the World War II generation: women get married, so why waste the money on higher education? I took myself out of court reporting in the year 2000, just upped and quit because I had been taking courses in the community college—creative writing, and the whole gamut of journalism. Then I went to Rutgers, which took seven years piecemeal to graduate. And then my friend Carol found the Wilkes MA and MFA programs. We went together and completed both the MA and MFA. During that time, I wrote for local and major newspapers as a freelancer. Not a stringer, just a freelancer, until I landed the Scene Page for the Two River Times, making $75 an article. At Wilkes, although I felt I made a big mistake in taking screenwriting, my nonfiction classes were the best. First working with John Bowers, then selecting Rashidah Ismaili as my MA mentor (who made weekend house calls), and then Phil Brady for my academic paper on Survivors in Memoir, I had a ball. I loved it, the good, the bad and the ugly; it had to be one of the best times in my life. Of course, the 501 Cohort with Nancy and Mike is some of the best care an aspiring writer can get. I am still in touch and visit with students, some of whom I know will be friends for life. HL: I also heard that you have a reading series and a writing group in New Jersey? PF: Back in the year 2000, Carol MacAllister, also a Wilkes alumna, and Gayle Aanensen and I formed what we called Tri-Muse. We three encourage one another and eventually sparked an interest because we turned into approximately 18 writers who are now called The Jersey Shore Writers at The Jersey Shore Art Center. We have found our voices collectively and individually. We are quite a group, critiquing, listening, supporting one another, as well as our arts center, where every form of art takes place. Irene Maran, another Jersey Shore writer and newspaper columnist of A Slice of Life, and I put together what we named Literary Adventure at the Belmar Arts Center where we selected several Wilkes students and paired them up with our Jersey writers for a great Sunday afternoon of authors’ readings. After a year or so, our Arts Center in Ocean Grove got jealous and said, “Hey, how about sharing those writers in our venue.” And this year we have been exclusively bringing authors and writers in from the Noir series of Akashic Books, Johnny Temple’s company. Monique Lewis, another Wilkes alumna, runs At the Inkwell Series in Manhattan. Monique has introduced some of her NYC writers of noir, and it gave The Jersey Shore Writers a challenge to write noir stories—crime, mystery, and so on. Two weeks ago we put on an event for ourselves and a very interested audience, Taste of Noir—along with some tasty noir treats—we gave our audience a taste of our noir stories. Hopefully, this series will be published as an anthology by the Jersey Shore Writers. PF: In our particular area of the Jersey Shore, I see lots of senior citizens coming to these readings, like this is something from the story-telling era of their past. For them it’s a social event, and an informative event where individuals can, and do, chat with authors, featured readers and other participants to discuss books and their own attempt at writing. Many times, they share a poem or a story at open mic that they’ve written, becoming part of the fabric of writers in the community. It makes me feel good that they are interested and want to become part of the Jersey Shore Writers in their own capacity. We, as a group, have been invited to take part with a group of artists to put words to pictures. We’ve become an extension in the community. And while we can’t attend everything, or have a literary adventure series everywhere, we are a stronghold in the community at the Jersey Shore Arts Center. This past September I had reached out to teens who were interested in writing and have held two workshops thus far. My hope is to add younger writers into the mix, with their own workshops and their own separate meeting date. As the writer-in-residence for the Jersey Shore Arts Center, I’m hopeful that this teen program will come to fruition in the future. I will be approaching the Cape Meeting Association, the body that governs our town, this spring to present this idea to the Youth Movement at the Youth Temple in Ocean Grove. My hope was always to help emerging writers and authors to have a place to share their work, whether you’ve been published or not. I just love being with other writers. And I know the Jersey Shore Writers are happy to meet writers from other states and cities. We network together to learn about agents, publishers, about who’s looking for what genre. We’ve broadened our horizons and we’ve now captured the attention of our beach community neighbors to see who we’re bringing in next to read. We’ve had so many Wilkes writers and authors to the Shore: Bev Donofrio, Charles Salzberg, Kenneth Wishnia, Anne Henry, Brian Fanelli, Monique Lewis, Jackie Fowler, Amye Archer, Joe Wade, Gale Martin, Dawn Leas, and Jackie Nash, among others. I’m probably forgetting some names, and I’m sorry about that. But coming up on December 8th [will be] J. Michael Lennon, Ross Klavan, Brian Fanelli, all three with new books. This is not work for me. It’s a joyful occasion when I get a ‘yes’ from an author to come to Ocean Grove, to the Arts Center or to Belmar Arts Council to read from their latest books. How important community literacy is to me and others? I see it as a colorful mixture of talent from the veteran writer to the writer just getting their feet wet, starting their process for the first time; they are on my color chart of writers. HL: What are you working on now? What is next for you? PF: I’ve been working on another memoir I’ve called Searching for the Man in the Gray Fedora. I’m giving my father his due in the next memoir. Sometimes I think I’ve given the impression that I was actually raised by two mothers, totally independent of a man. Well, that’s not true. Although, it’s taking me time to figure out this book, several years now, and I did send it out to an agent with a proposal, the prologue, and three chapters. I received a response from the agent that they admired my voice and the premise of the book, but it felt jumpy to them. They suggested I work harder on a narrative arc. So it’s back to the drawing board. HL: Where can interested readers get a copy of My Two Mothers: A Memoir with Recipes? 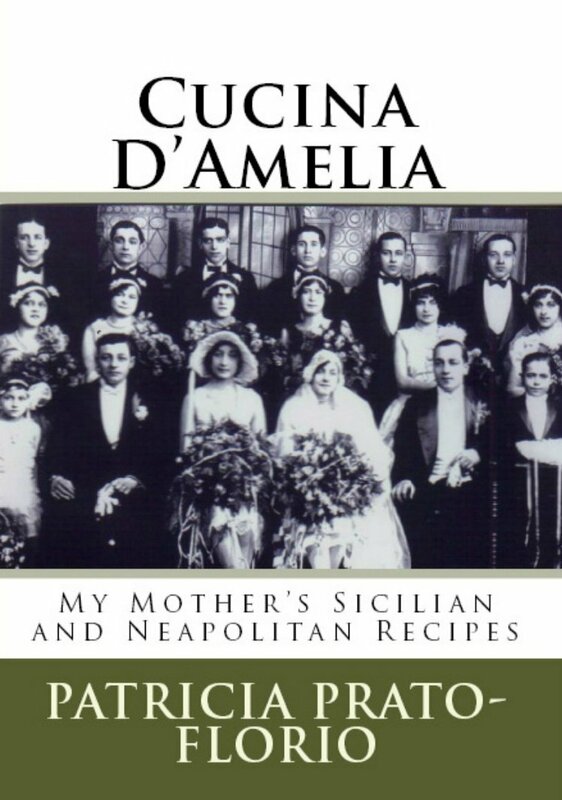 PF: Right now the ebook can be purchased on Amazon, either as My Two Mothers, My Two Mothers: A Memoir With Recipes, or just the cookbook, Cucina d’ Amelia. We are hopeful the print version will be out before the holidays. HL: Anything else you would like to add? PF: Thanks for asking me these questions. It’s given me an opportunity to look at myself as a writer, honestly and completely. And to take a candid look at how much writers mean to me. I admire a human being who can sit in a chair in front of a computer, solo, endless amount of hours and bring a humorous, heartfelt, fiction or nonfiction piece of work to fruition. In the Italian sense of who I am, I say Brava to that woman and Bravo to that man. The 22nd Annual James Jones First Novel Fellowship awarded first place and $10,000 to Margot Singer of Granville, OH for her manuscript titled The Art of Fugue. Runners-up in the competition were Jennifer S. Davis of Baton Rouge, LA for her manuscript Reckonings; and Timothy Brandoff of New York, NY for his manuscript Connie Sky. They were each awarded $750. Tamara B. Titus, of Charlotte, NC received honorable mention for her manuscript Lovely in the Eye. The James Jones First Novel Fellowship was established in 1992 to “honor the spirit of unblinking honesty, determination, and insight into modern culture as exemplified by (the writings of) James Jones.” It is awarded to an American author of a first novel-in-progress. The competition is co-sponsored by the Wilkes University Graduate Creative Writing Program and the James Jones Literary Society.